I found this planter in a pub called The Mermaid in Bishopsbourne. A very pretty color scheme they have going there. You caught the light just right. Oh...summer has finally arrived! Nice and warm-feeling photo. This just screams summertime! A very nice shot! I wish my planters looked this beautiful. This is lovely and natural. I don't care for the plastic planters very much. This works. Adore that chair photo at Walmer Castle. Nice mix of colors. I wish I had a green thumb. All my plants die! Hi Shell, Summer is here at last. 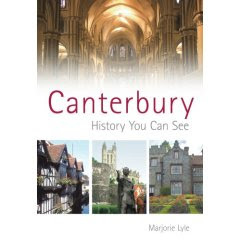 I must say, Rose, that having visited your blog for a few weeks now, Canterbury truly looks like such a lovely place to live -- beautiful, peaceful, colorful, historic ... You present and represent it well. 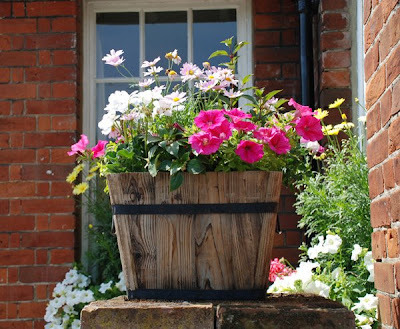 I love hanging baskets. Well Ilove other peoples to view, wothput the responsibilty. Thanks for the Petition link re photographers rights.Just has to sign that.